Do you feel the need to disable the control panel? 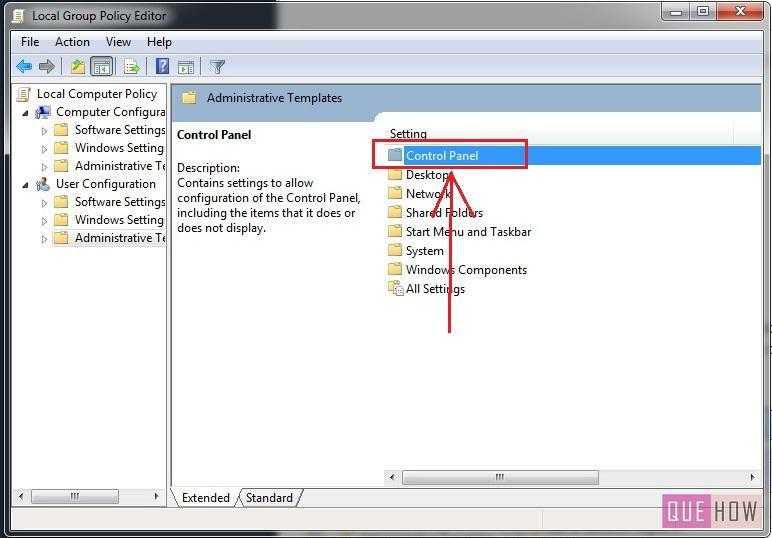 This post will teach you how to disable control panel in Windows 7. There can be several reasons behind this, such as your computer is used by others also, various computer are connected over the network and they are used for the basic purpose only, etc. 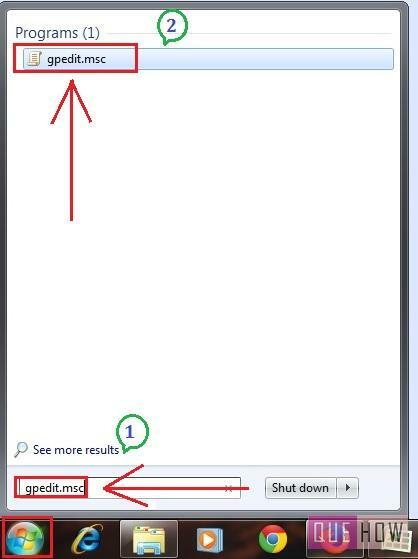 In this case, you can surely disable it, so that the others could not mess up with the control panel settings. Step 1: Click on “Start” button, then type “gpedit.msc” in the search bar. The “gpedit.msc” program appears, click on it. Step 2: Then you are navigated to the “Local Policy Editor”. 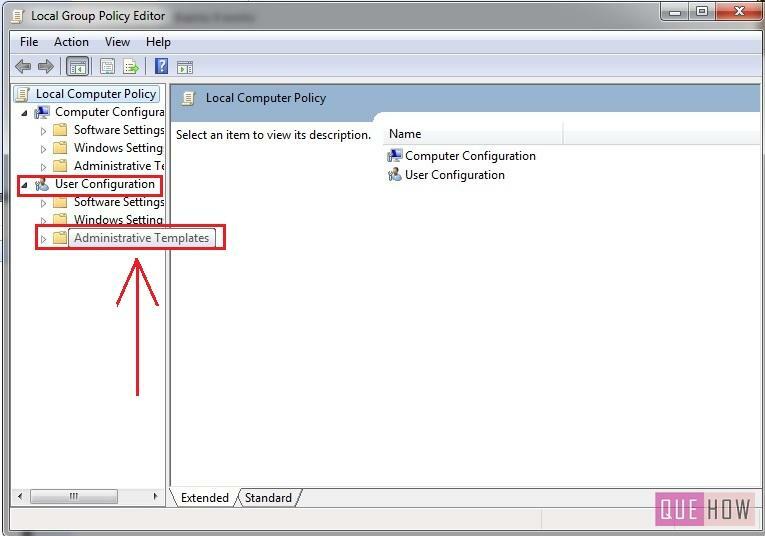 Under the “User Configuration” go to “Administrative Templates”. Step 3: Click on “Control Panel” settings option. 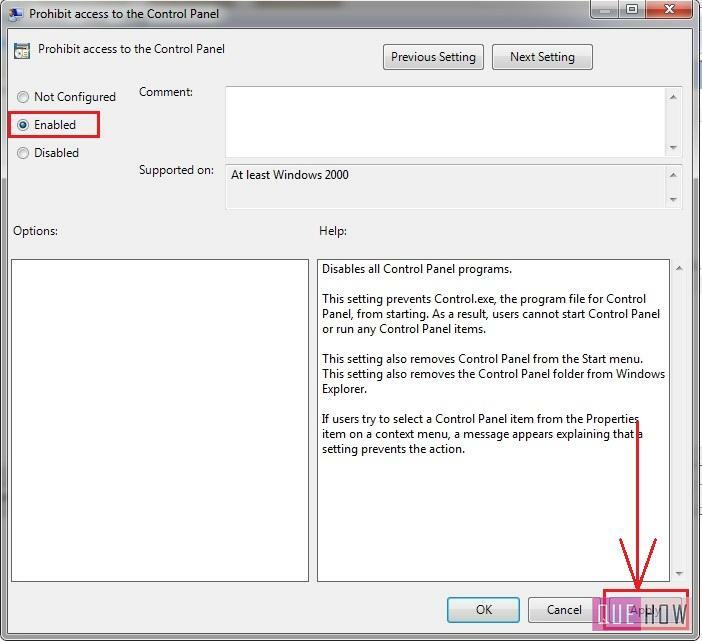 Step 4: Then you may come across various options, click on “Prohibit access to the Control Panel”. 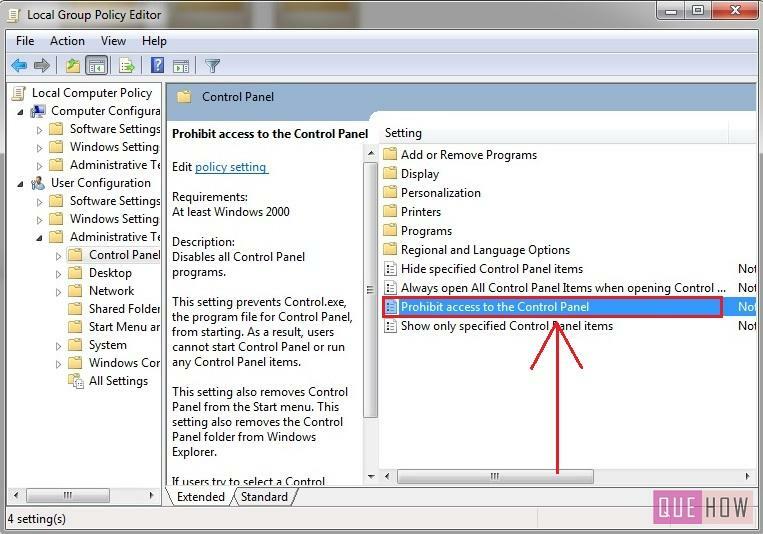 Don’t get confused, here you are enabling to prohibit the access to the Control Panel. These steps can be followed in Windows XP also.